Interested in becoming a member of NAPO Chicago? 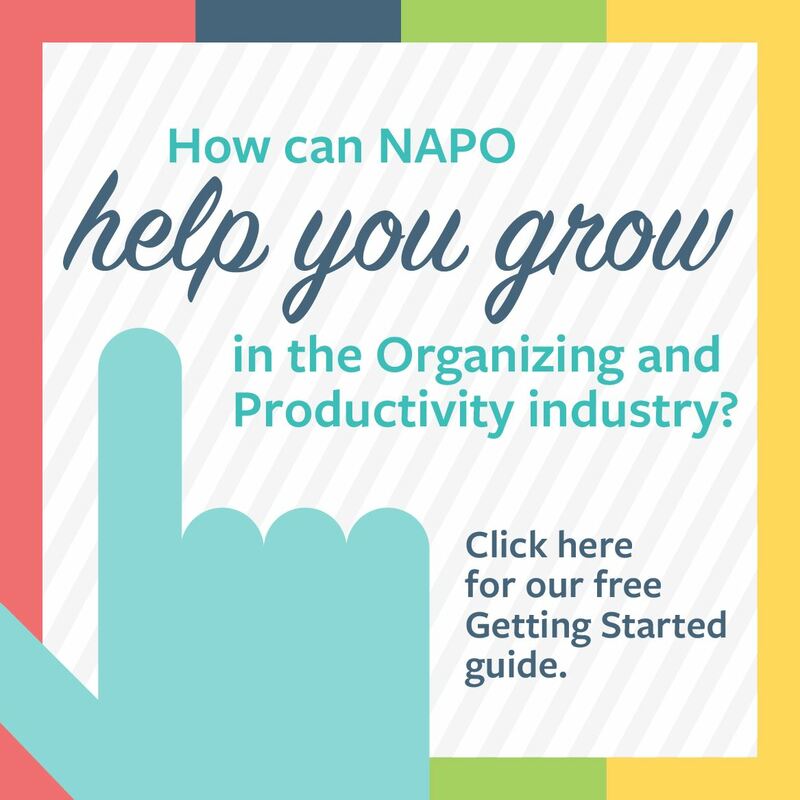 If you are a member of the National Association of Professional Organizers (NAPO), or you are considering joining NAPO and becoming a Professional Organizer or Productivity Consultant, membership in NAPO Chicago is an excellent decision. We have been the first choice among Professional Organizers and Productivity Consultant in the northern Illinois, northern Indiana, and southern Wisconsin areas since 1990. Your success as a Professional Organizer or Productivity Consultant means staying up-to-date on the latest industry trends, techniques, and organizational products. NAPO Chicago makes it easy to network with other professional organizers and related industry partners while equipping you with the tools and resources to help you tackle your organizing projects and run your business. For more membership benefits, click here and see how becoming a member of NAPO Chicago can be a positive influence on your success. Want to test the waters before you join? You are welcome to attend our monthly chapter meetings as a Guest. Membership in NAPO or NAPO Chicago is not required to attend our monthly meetings. View our calendar for additional monthly meeting information. Take a look at Member Volunteer Opportunities to see the various ways you can get involved once you join. Ready to join? If you are a member of NAPO and have a NAPO Member ID, click here to get started!